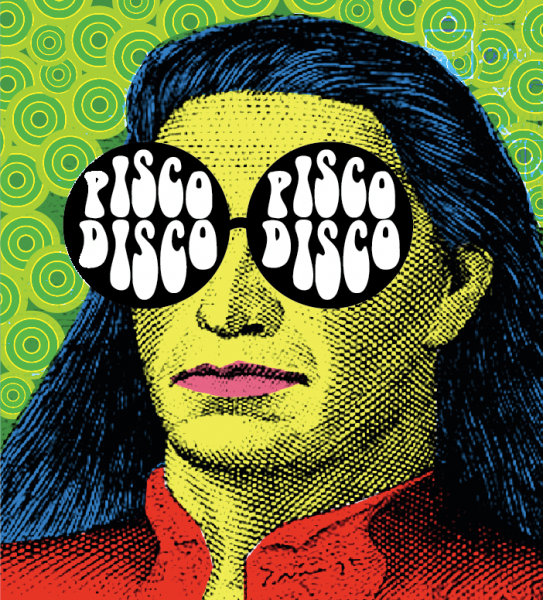 Pisco Disco is back with another night of world-beat and latin-american controlled chaos featuring LIVE shows from Imperio Bamba (psychedelic cumbia) and Explosive Nzakomba (Congolese Soukous), mixed with DJ sets by Liam from Pacific Socialism, Juan Xas (Imperio Bamba) and SoExp Sound System. Expect the usual informal and friendly atmosphere, delicious South American street food and those curiously strong Pisco cocktails. We are chuffed to have Imperio Bamba’s unique blend of cumbia, salsa and psychedelic rock back at Pisco Disco, this time headlining with a full-band and presenting their first Single ‘Los Amantes’. Can’t wait!! Daniel Isakongo power trio Explosive Nzakomba their unique trance-inducing interpretation of Congolese Soukous. AND… We will be joining forces with Liam from Pacific Socialism, who will bring his unique blend of world psychedelia, garage and vintage latin to the mix PLUS Imperio Bamba’s DJ Juan Xas playing world beats and classic Chicha tracks and Southern Exposure DJs adding a special dose of old school funk, cumbia and Salsa Brava. Food: South American fast-food (7pm onwards). DJ sets: Liam from Pacific Socialism, Juan Xas and SoExp Sound System. Tickets: 5 GBP at the door. Imperio Bamba is the new Latin American band on the block, playing intoxicating rhythms they blend chicha music with cumbia, salsa and psychedelic rock. Their lyrics talk about their experiences, delusions, sense of belonging as migrants and hopefulness. Their motto: “Let’s criticise the fake -the bamba- and celebrate the freedom to choose to be whatever you want to be” is reflected in their attitude on each performance. Fronted by Congolese virtuoso guitarist Daniel Isakongo aka ‘The Fire’, Explosive Nzakomba’s engaging music promotes their passion for soukous combined with everything else he learnt from his musical journey via Angola and Namibia to the UK. When interviewed ‘The Fire’ once said “audience’s always want more, so we give them more”.